Five members of Seacourt (yes – five!) were selected for the Southern team at this year’s Veterans’ Winton cup. Jenny Morris joined the women’s foil team who proved to be a fearsome bunch, racking up a hatful of victories and finishing top of their group. Lucy Wright was (questionably) team captain of the women’s sabre team and was particularly pleased in getting four hits on Beth Davidson (currently European no. 2 in her age group). John “Dave” Rees performed well in the men’s foil – at this point I could tell you exactly how well, but I can’t understand the layout of the results sheet. 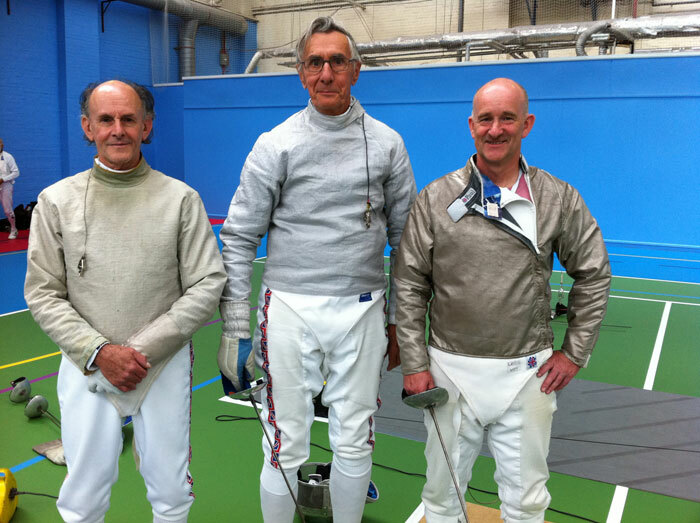 Carl Morris was captain of the infamous men’s sabre team which counted Brian Millo as one of its members. The team was noted for having an enormous wealth of ‘experience’ on its side. Overall, the team finished sixth and everyone is looking forward to having their pacemakers tuned for next year.